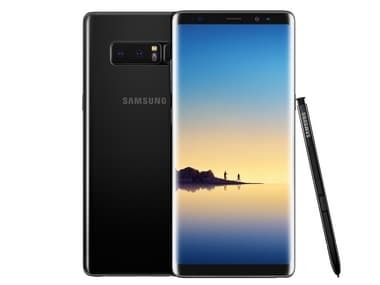 The Samsung Galaxy Note 8 was unveiled for the Indian markets on 12 September and the phablet smartphone has now gone up on pre-order exclusively on Amazon till 21 September. As per the announcements on launch day, the deliveries too will begin from 21 September onwards with the device being priced at Rs 67,900. Those pre-booking the Galaxy Note 8 on Amazon can avail exciting offers like Rs 4,000 cashback using HDFC credit cards, a free wireless charger, no cost EMI for up to 18 months and 448 GB of Reliance Jio data. There is also a one-time screen replacement guarantee on the pre-order of Note 8. Prices of Galaxy S8 and S8 Plus have also been reduced by Rs 1,000 with a cash back offer of Rs 4,000 for HDFC card holders. The Samsung Galaxy Note 8 has a 6.3-inch QHD+ Infinity Display sporting a resolution of 1,400 x 2,960 pixels. While buyers in US will be treated to a Qualcomm Snapdragon 835 chipset inside, the international model will get a Samsung-made Exynos 8895 chipset. The Note 8 packs in 6 GB RAM (LP DDR4) with 64 GB internal storage and allows for expandable storage of up to 256 GB via a microSD card (using its Hybrid SIM tray). It is the first Samsung phone to feature a dual-camera with 12 MP sensors and dual OIS. The a front facing camera is an 8 MP autofocus unit with an f/1.7 aperture.